It's a sport as American as apple pie. Nah, we're not talking about football, we're talking about a good ol' fashioned chicken wing eating contest, which Plan Check (all three locations) is hosting immediately before the Super Bowl this Sunday. 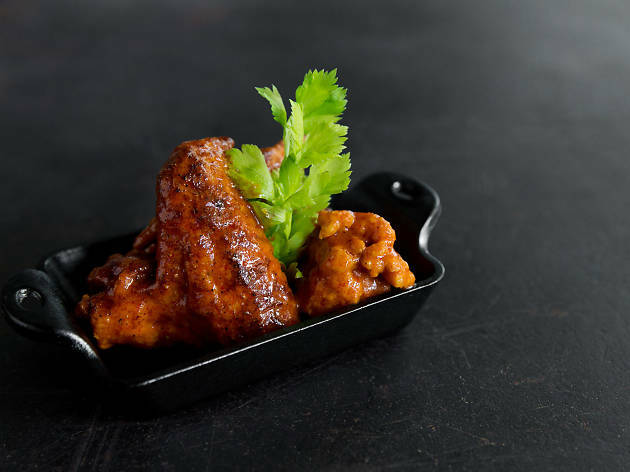 At 2:30, the first 10 diners to sign up will stuff their faces with 12 chicken wings; whoever finishes the fastest will win a custom Plan Check trophy, JP Wiser's Rye Whisky prizes, and the eternal title of Chicken King/Queen of Plan Check. 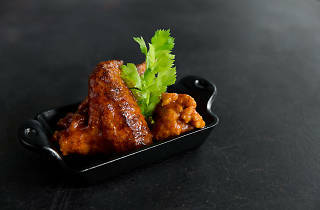 If you're more of the spectating type, order some of chef Ernesto Uchimura's tailgating themed dishes—9 layer dip, chorizo chili cheese fries, etc—and specialty cocktails to watch the game, football or otherwise.